In the first of a two part feature, Routesonline takes a closer look at the airports and destinations named finalists in the Routes Europe 2018 Marketing Awards. This week, we profile the airports shortlisted in the Under 4 Million Passengers category, as well as the tourism organisations in the running for the Destination award. Click here to read the full shortlists. Belfast City Airport has historically been a business travel-focussed airport, but in recent years has worked hard to grow its leisure and charter services. During a year when the city hosted Routes Europe, the airport welcomed three new airlines. A total of 39 percent of its routes were new, which included four new domestic routes and three European routes. It also experienced a 100 percent uplift on capacity to London City, a key domestic route. Following a concerted marketing effort to emphasise that Billund sits in one of the wealthiest catchment areas in Scandinavia, the airport enjoyed a record year in 2017. It welcomed more than 3.4 million passengers, an annual increase of 9.2 percent. New routes started during the year included Athens, Berlin, Lisbon and Vienna, while new airlines welcomed comprised SunExpress, Widerøe, Wings of Lebanon and LOT Polish Airlines. Cork Airport has grown its passengers by 310,000 in three years having achieved 15 percent compound growth by fostering long-term relationships with it airline partners. In 2017 it became Ireland’s newest transatlantic airport and gained five new routes, including Boston Providence, Zurich and Reykjavik. The airport is also secured 14 route expansions this year, with passenger growth forecast to be 4 percent. Serving the northern Netherlands and a population of roughly 1.7 million, Groningen enjoyed a 26 percent rise in passenger traffic during 2017. New destinations included Munich, Nice Côte d'Azur and Ibiza, while the airport also launched a route development fund designed to help it become an airline’s “investment partner”. The fund has so far supported Nordica/LOT in its decision to base an aircraft at Groningen for the summer 2018 season to serve Copenhagen and Munich. Liege Airport has enjoyed success in securing charter operations to China in cooperation with tour operator U-tour. It is now connected to up to eight second-tier cities per week and the routes have welcomed more than 180,000 two-way passengers over the past three years. The flights are operated by Russian carriers, mostly using Airbus A340 and Boeing 777 aircraft, which has also allowed the airport to develop its cargo operations to/from Russia and China. With 90 airlines operating in the islands, the Canary Islands are connected to 156 airports around the world with regular direct flights. The tourist board has implemented five lines of action to create a “single, coherent and efficient strategy”. This includes lobbying the Spanish government and AENA to lower taxes and offer more incentives; promote the tax benefits that Canary Islands offer; and utilise a €10m flight development fund to support the launch of new routes. Having reached destination maturity status, and facing a series of economic and political issues, Cyprus Tourism Organisation has helped the island to forge a tourism-led recovery over the past three years. International tourist arrivals have grown from 2.6 million in 2015 to 3.6 million in 2017. Winter arrivals (November-March) are also up from 300,000 four years ago to 600,000 this year, fulfilling an ambition of making Cyprus a year-round destination. To help grow the number and frequency of intercontinental strategic routes, a series of marketing activities have been carried out in recent years, including the creation of a Connectivity Department. In 2017, Madrid Destino enjoyed success through a collaboration with Iberia Express. The ‘Made in Madrid’ campaign involved personalising all flights with a violet aroma - violeta sweets are considered to be the flavour of Madrid - and distributing 100,000 brochures promoting the city’s sights and gastronomy. 2017 marked the eighth consecutive year of growth in inbound tourism to Malta, where a new record high was reached. The number of total inbound tourists to Malta almost touched the 2.3 million mark, recording a significant increase of 16 percent. This success is mainly attributed to the efforts in securing and expanding air connectivity and a strategy to convincing airlines to operate year-round schedules, rather than just the summer season. Turkey’s tourism sector has faced serious challenges in recent years, but numbers rebounded in 2017 and are expected to grow further this year. The country attracted about 32 million tourists last year and culture and tourism minister Numan Kurtulmuş hopes the figure will rise to 36 million in 2018 - the same level as 2014. Tourists are being targeted from China, India, Japan and South Korea to replace a drop in European visits. Finland enjoyed a record year for tourism in 2017, with Greater China one of the major growth drivers. A total of 31 new flight connections were opened between Finavia airports in Finland and destinations in Asia, Europe and the US, while new flights were added to existing routes. Visit Finland’s Symphony of Extremes campaign generated a PR value of €11.5m and the organisation’s videos were viewed more than 13.4 million times. 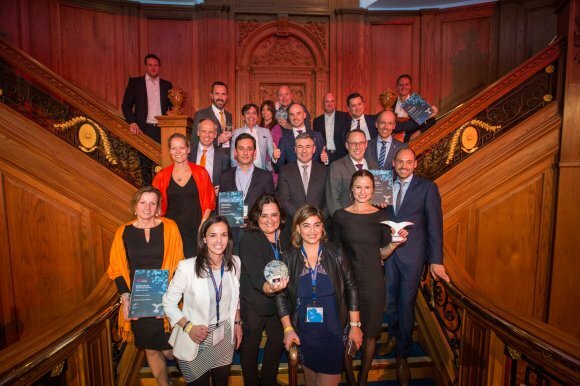 The Routes Europe 2018 Marketing Awards will take place at the Routes Europe Networking Evening on 23 April. The Overall winner will be automatically short-listed for the World Routes 2018 Marketing Awards. Find out more about the awards here.